The ultimate horse racing system has to meet a number of criteria. First off it needs to make a profit! And that profitable system has to produce those profits on a consistent basis, Ideally we want our horse racing system to be profitable every month and if possible every week. These days that is more of a problem, the one size fits all method maybe a thing of the past. Back in 2005 when the Betting School Insiders Club first launched there were still systems available that could make good profits month in and month out. In these days of unlimited data and information the system user has to specialise more and use systems specific to the season, month, course or race type. In 2010 we coined the phrase Micro Betting System to identify the type of system that we create and share with our members. For a mini course on how to build these methods for yourself add your email address to one of our opt in boxes and we will send you the course for free. 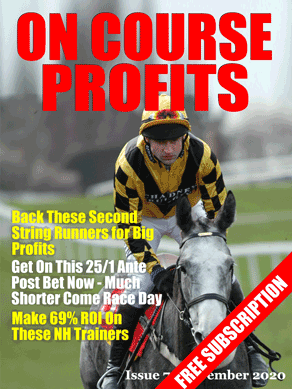 We will also send you an example of a Micro Betting System as part of the mini course. The fact is that we have 39 flat horse racing courses in this country and they are all very different. Any set of rules that is to be succesful has to have so much profit or value in it that it can overcome all these differences. We say it is much better to have an individual system for each course if necessary. As you drill down into more detail you get more profit, so once you have your course rules then consider different criteria for different race distances and so on. Thanks for your message. Unfortunately the course that we had relied on Adrian Massey and is therefore in the process of being updated. We will send you a copy as soon as this is available.